WHERE WE CAN GET TOGETHER . . . . . SHAKE SHACK BABBBYY….. THE SHAKE SHACK BABY! 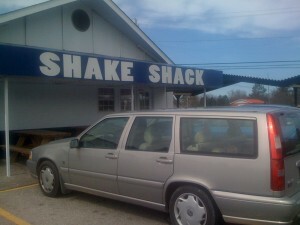 The Shake Shack is located just between Cleveland, TN and Ocoee, TN off Waterlevel HWY. It was established in 1959. It is a good old American owned and operated Drive In restaurant that is worth the stop.